Tooth Tonic and Whitener are a perfect solution for complete oral care. Tooth Tonic nurtures gums and protects teeth from damaging bacteria. Black Whitener whitens teeth naturally and remineralises the system by being absorbed into the body.. Pitch black, this activated charcoal (aka activated carbon) is in the form of a super-fine powder. One of its health benefits is teeth whitening. Other benefits include eradicating more than 4000 toxins – chemicals, drugs and wastes – from the body, and restoring the body to its natural condition. 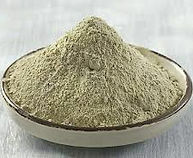 Edible Bentonite Clay is one ofnature’s strongest antiseptics. It has a strong anti-inflammatory property, is haemostatic (stops the flow of blood), speeds up the process of cellular knitting (draws tissue together), deeply cleanses and draws impurities and toxins out of the body due to its highly absorptive property. Tooth enamel is comprised of 97% minerals by weight; coral calcium is 96% calcium with 73 trace minerals. This coral calcium is 100% eco safe as it is only harvested above sea; it is as fine as talcum powder and easily absorbed through the mouth. 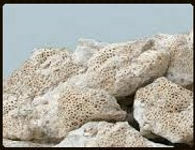 Coral calcium contains all the minerals found in the human body and has the ability to rapidly enter the blood stream. Taken internally, licorice is a soothing substance that protects damaged or inflamed tissue. An expectorant (that assists in expelling mucus from the lungs and throat), licorice root is commonly used to treat colds and sore throats. It is soothing to the gut and works as an effective liver cleanser and blood detoxifier when combined with other herbs. Licorice’s key therapeutic compound, glycyrrhizin (50 times sweeter than sugar) has several beneficial effects on the body, making it a valuable herb for treating a host of ailments, including gingivitus.